Cards offer a variety of fun for all ages and skill levels. Card games also are enjoyable for any family or large group, but can entertain fewer people, too. Next time you need to fill a rainy afternoon or a family game night, try these card games, which can be played with a full 52-card deck or a portion of a deck. War is played with two to four players. All cards are dealt to the players; the object is to win the entire deck. Players lift the top card from their pile and show it to their opponents; the highest card wins. If players draw the same card, they place three more cards facedown and turn over a fourth. The high card wins all the played cards. 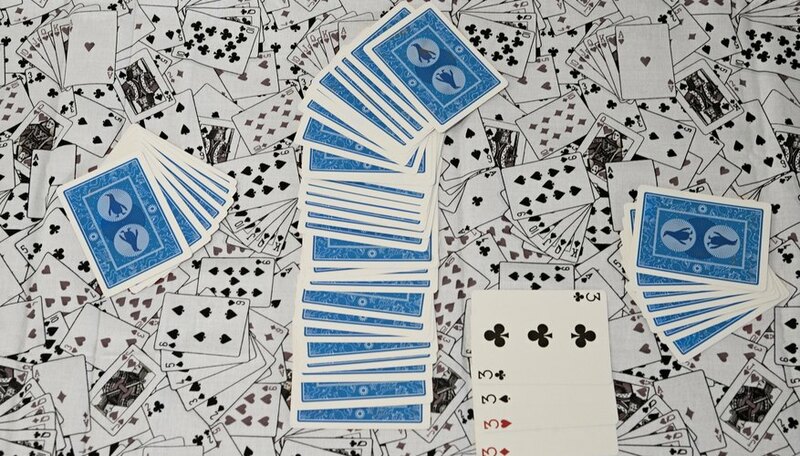 Concentration is played with 10 pairs of cards--they should match in number and color--that are placed facedown in rows. Player one turns over two cards. If they match, he takes the pair and goes again. If not, he turns them back over and another player tries. The object is to get the most pairs by remembering where the matching cards are. In I Doubt It, all the cards are dealt. Players put one card facedown in turn, with the first player starting with the ace. 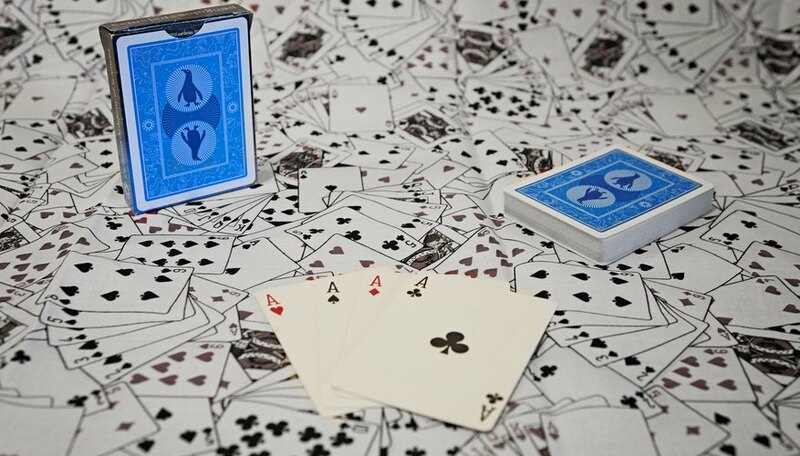 If a player does not have the next card in sequence, he must try to bluff and discard another card facedown, pretending it has the correct number. Players can challenge other players by saying, "I doubt it." If the challenger wins, the bluffer takes the pile of discarded cards. If the player wins, the challenger takes the pile. In Crazy Eights, each player gets five cards (seven if there are only two people playing). The remaining cards are placed in a pile and the top card is turned up and placed alongside the pile. 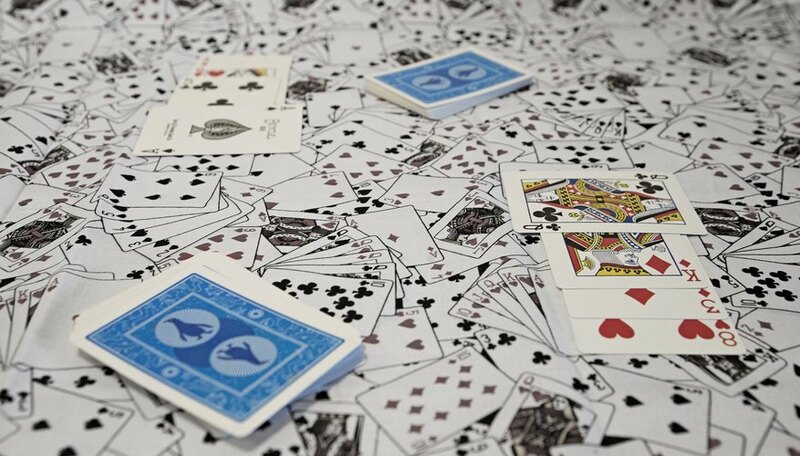 On their turn, players place a card with the same number or suit as the upturned card on the pile. If a player does not have one, he must pick from the facedown pile until he gets a card to put on the pile. An eight can be used as a wild card, and permits the person playing it to dictate the suit the next player must play. 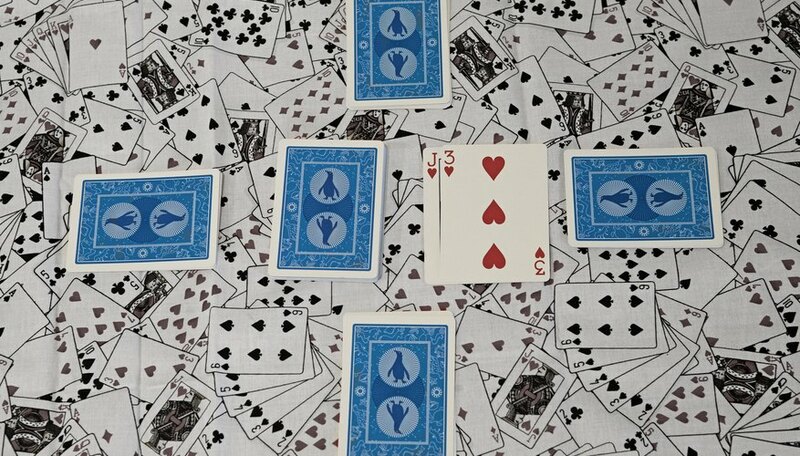 In Go Fish, players get five cards (seven cards if only two people are playing), and the remaining cards are spread facedown on the table. The object is to get all four cards of the same number or face. Player one picks a card from her hand and asks another player for all of those cards from his hand. If the player has the card, he must surrender it. If not, the other player is told to “go fish” and choose from the cards on the table. If she picks the requested card, she continues. If not, the next player makes a request. Play ends when there are no more cards. Once all four cards are obtained, players discard them. The player with the most completed sets wins. Old Maid is played with a standard deck with all queens removed, except one, called the Old Maid. All cards are dealt. Players discard any pairs faceup. Each player in turn chooses a card from the hand of the player on his left and discards any pairs that result. When all pairs are discarded, the player with the Old Maid loses.